The Gai Waterhouse/Adrian Bott trained, Gold Standard, has clearly stepped onto the yellow brick road after his impressive performance in Saturday’s Group Two Kari Stan Fox Stakes over 1500m at Rosehill Gardens and is now likely to take on the elite of his generation in the Group One Golden Rose Stakes on 23 September. It’s a heady mix for the $1 million race with Run To The Rose winner, Menari, a pre-post favourite for the Golden Rose, while other genuine contenders include Pariah, Merchant Navy, Kementari, Chauffeur and Formality. A lot of competition to be sure, but Gold Standard really did live up to his name in the Stan Fox. The winner of two from four outings, Gold Standard had one start as a 2YO (finishing second at Warwick Farm), resumed with a win at Canterbury in early August and came into the Stan Fox following a head second to Dracarys (another potential Golden Rose rival) in the Group Three Up And Coming Stakes on 19 August. Sitting just off the leader in the Stan Fox, Gold Standard surged clear at the 300m and held off all challengers to win comfortably. “Last start he was a little bit slow to begin, but was able to break cleanly on Saturday,” co-trainer, Bott, points out. 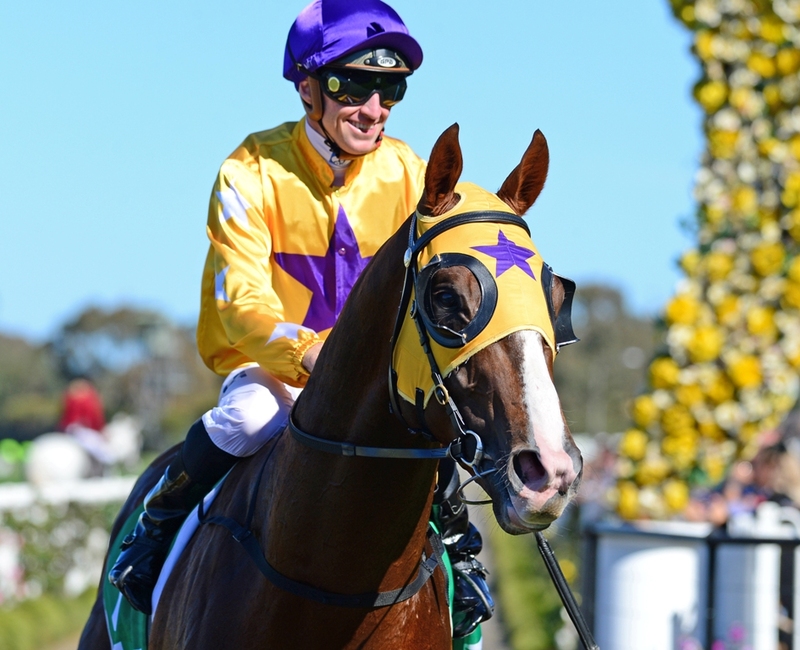 “Gold Standard has the tactical speed to be able to put himself in the race and while it wasn’t necessarily the plan to to be up near the lead in the Stan Fox, full credit to (jockey) Josh Parr who took control of the race and was able to run it to suit. The 32nd individual stakes winner for Widden Stud based stallion, Sebring, Gold Standard is out of the Group winning Greig mare, Coniston Gem, and was purchased by Mount Hallowell Stud, Waterhouse and Julian Blaxland for $160,000 at the 2016 Inglis Melbourne Premier Yearling Sale. Offered by Sun Stud, Gold Standard was bred by Rob Crabtree who recently purchased the historic Victorian property, Wood Nook Farm, at Nagambie. It’s been a big 12 months for Crabtree who also owns Group One Blue Diamond winner, Catchy, and Group One Oakleigh Plate winner, Sheidel, but he decided to sell Coniston Gem – in foal to Sepoy – at the 2017 Magic Millions National Broodmare Sale where she was knocked down to Queensland’s Greg Wright for $45,000.